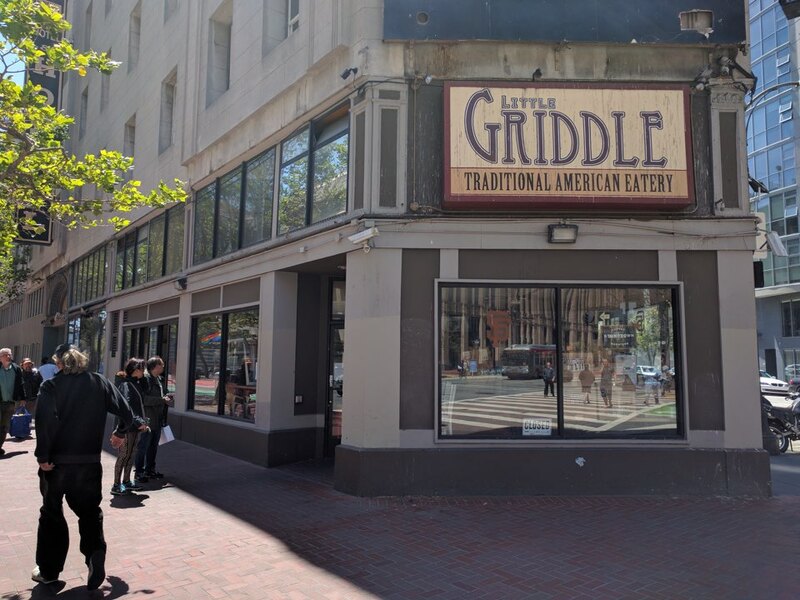 Little Griddle and its neighboring cafe and wine bar are serving breakfast and burgers again in Mid-Market after more than two years of renovations. 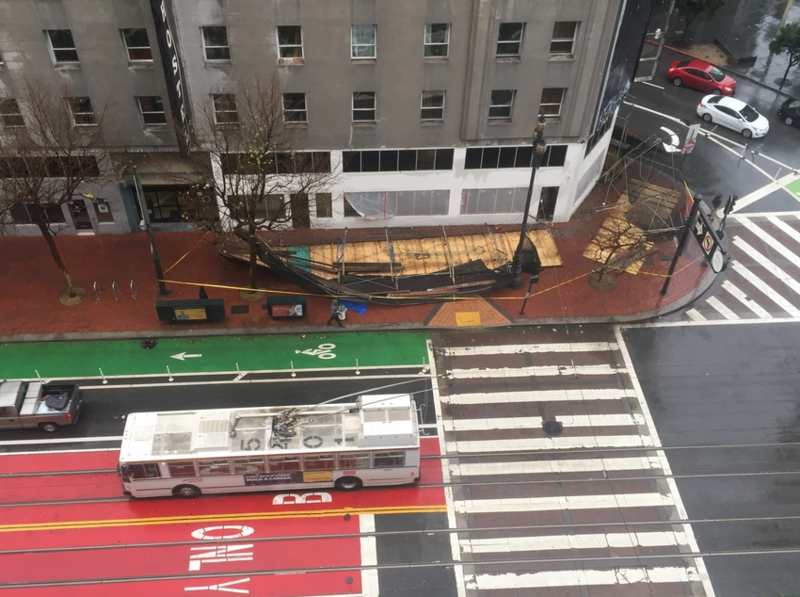 The restaurant closed in May 2016 for what it thought would be a two-month renovation project, but issues with permits and other construction delays caused the project to take years, not months. 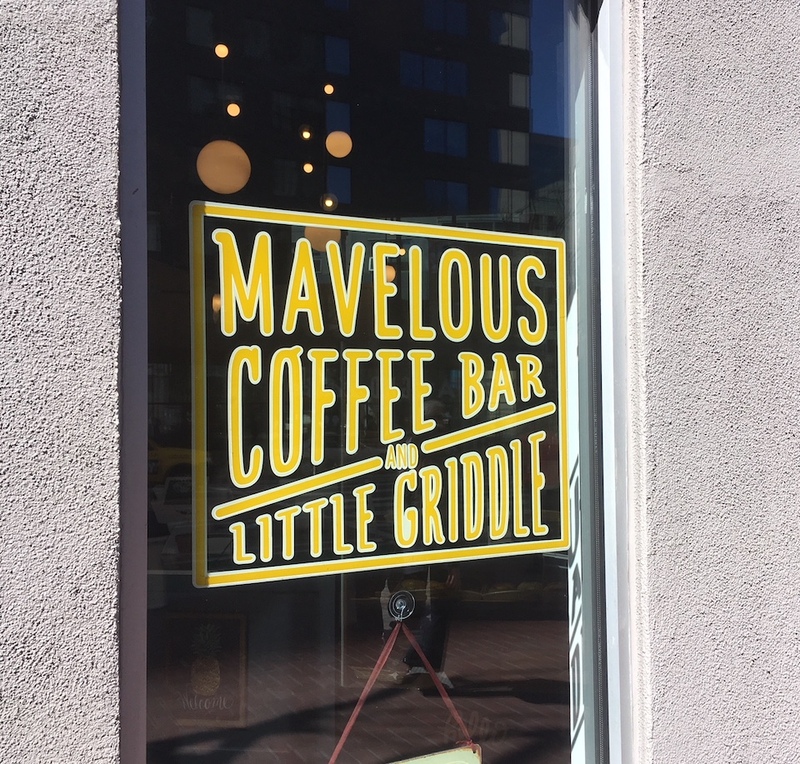 The brunch and burger joint softly reopened yesterday at 1400 Market St. (at Fell), serving Stumptown Coffee and pastries at MaVelous Coffee and Wine Bar, and a full menu with burgers, sandwiches, and pastas at Little Griddle next door. The renovations have lightened up the restaurant's interior, bringing in more light with raised ceilings. MaVelous' formerly black walls have been painted white, and new lighting fixtures have brightened up the space. The two spaces are now connected with one entrance, and the cafe's layout and restaurant dining area have a more modern look. On its opening day, customers waited in line for to-go orders at lunch, with well-wishers popping in repeatedly to welcome the eatery back to the neighborhood. 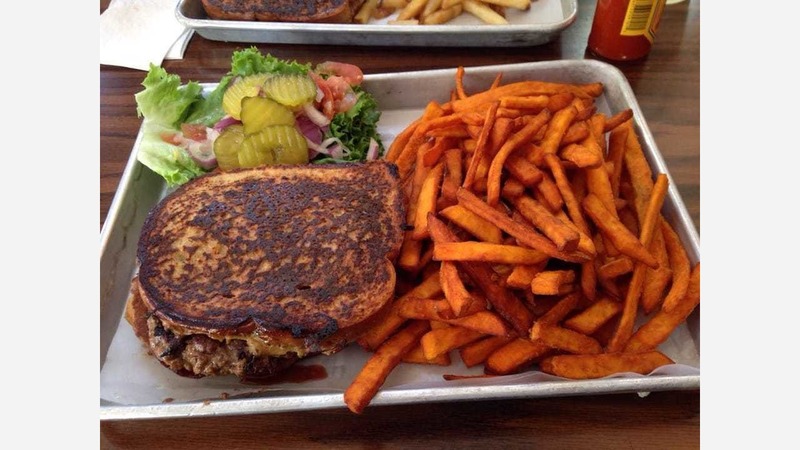 Little Griddle'smenu offers traditional diner fare made with fresh, local ingredients like Niman Ranch beef and Diestel Ranch turkey, often with ironic or saucy names like Bettie Sinfuls (three slices of vanilla-cinnamon French toast) and Grandma's Griddles, available in single, double and triple stacks (pecans or chocolate chips optional). Burgers come in three styles: normal, like the Californication (bacon, avocado, lettuce, tomato, onion, Swiss and mayo); adventurous, which includes the Mt. Tamalpais (bleu cheese, bacon, and BBQ); and the irrational, represented by the Me A More Ehh (pepper jack, tortilla strips, lettuce, tomato, onions, jalapenos, sour cream, cilantro and chipotle sauce). MaVelous next door currently has two Fort Point beers and one from Almanac on tap, and offers international wines as it did before the renovation. The restaurant is currently softly open from 7:30am to 3:00pm. MaVelous is expected to be open later; its previous hours ran from 7:30am to 9:00pm on weekdays and 9:00am to 9:00pm on Saturdays.